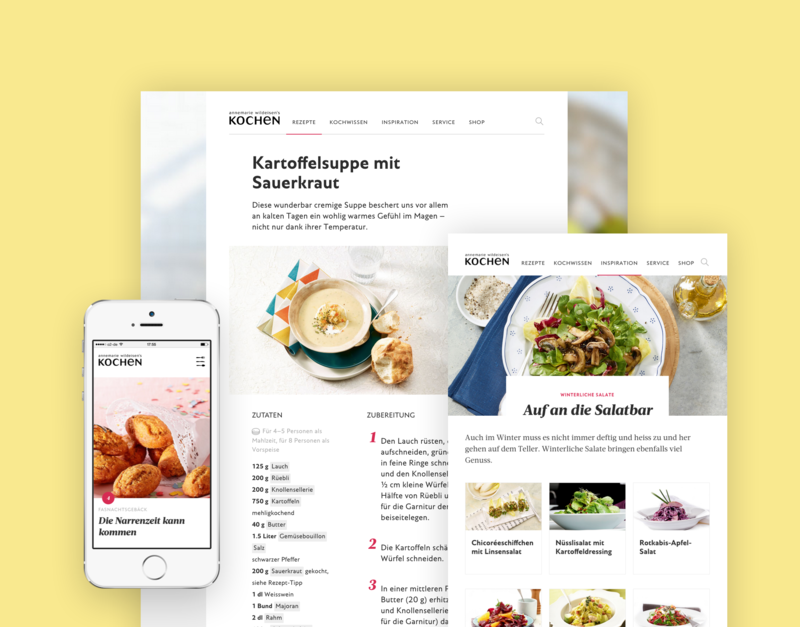 Today we are thrilled to announce the relaunch of wildeisen.ch – Switzerland’s biggest independent cooking magazine. Annemarie Wildeisen – often described as Switzerland’s Martha Stewart – established a Swiss food brand with a long running TV show, numerous successful cooking books and a dedicated magazine. Together with AZ Medien’s digital team and the editorial staff we worked in an agile scrum process relaunching the digital outlet of the magazine over the last four months. The core of the product is to structure and surface an impressive collection of 5,000 original recipes supported by 1,800 ingredients and 100 descriptions of cooking techniques like how to prepare artichokes etc. To offer the editorial team opportunities to repackage content for different occasions we introduced collections. Over all we followed an API driven approach using Contentful. Delivering content in a structured way, we laid the foundation for a wide range of content applications. Stay tuned for the full case study and give it a ride over at wildeisen.ch. Team: Richard Bausek, Michael Börner, Andrea Franke, Christian Hanke, Philipp Kühn, Till Leinen, Christoph Rauscher, Peter Rudolph, Lorenz Seeger, Max Schulz and Oliver Zeyen.